Boxing is a tough sport–there is only so much room in the spotlight. Some very talented fighters can get left out in the cold, regardless of the laurels they have earned. There is no better example of this than Daniel Jacobs. Known as “the Miracle Man,” the Brooklyn native is a true inspiration–a cancer survivor who came back from his treatments to fight his way up to the top of an extremely tough sport. If Jacobs believes that he is the best 160-pound fighter in the world, I cannot really blame him. The lowest any legitimate ranking could place him is No. 3. I thought he deserved a narrow victory last March, when he faced Gennady Golovkin. I won’t all it a robbery. It was a very close decision and the judges gave the nod to Golovkin, the bigger star. That’s often what happens in boxing. But this much should be clear–if Golovkin is an elite talent, so is Jacobs. 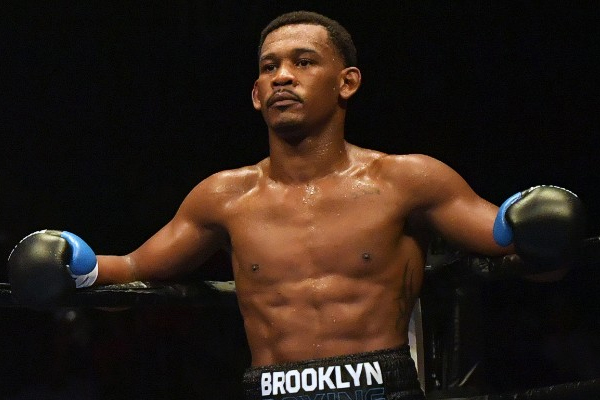 If a decisive winner had emerged between Golovkin and Canelo Alvarez last Month, Jacobs would deserve the next title shot. But we all know what happened between Canelo and GGG and a rematch has to happen. So Jacob is left on the outside, still waiting. Meanwhile, he has to stay active and in the conversation. On Tuesday, HBO announced that Jacobs would return to action November 11, against undefeated Luis Arias. Arias is a true contender on the rise. He won a pair of National titles in the amateur ranks. He has defeated experienced opponents like Darryl Cunningham and Arif Magomedov. But Jacobs will represent an entirely different level of opposition. If he isn’t the best middleweight in the world right now then he is at least very close.